This year, scientists achieved a long-sought feat of cellular alchemy. They took skin cells from patients suffering from a variety of diseases and reprogrammed them into stem cells. The transformed cells grow and divide in the laboratory, giving researchers new tools to study the cellular processes that underlie the patients' diseases. The achievement could also be an important step on a long path to treating diseases with a patient's own cells. The feat rests on a genetic trick, first developed in mice and described 2 years ago, in which scientists wipe out a cell's developmental "memory," causing it to return to its pristine embryonic state and then regrow into something else. In 2008, researchers achieved another milestone in cell reprogramming. In an elegant study in live mice, they prompted cells to make the leap directly from one mature cell into another--flouting the usual rule that development of cells is a one-way street. These and other advances in tweaking cells to assume new identities add up to make the now flourishing field of cellular reprogramming Science's Breakthrough of the Year. Last year's breakthrough is here. Unlike an individual and his or her own life, humanity does not have a "collective memory" which directly links the past, present and future. Older generations pass away, new generations are created, and some ideas, technologies, etc. are passed on to the next generation while others are ignored or forgotten about. The fact that the persons who constitute humanity "today" is always (incrementally) changing is important to recognise. For it is easy for each contemporary generation to mistakenly think that the challenges they now face are novel since they themselves did not personally experience such a problem or dilemma before. To really capitalize on the adage "experience is the best teacher", we must become psychologically connected and continuous with the past (as well as present and future). This will help us avoid repeating the mistakes of the past, and better prepare us to meet the challenges of the future. When one thinks of the year 1918 most of us will think of the end of the First World War. It is estimated that the "Great War" of 1914-1918 killed approximately 15 million people. World War I figures prominently in most history classes people take in school. And Remembrance Day helps keep the memory of the human cost of war alive in the minds of young and old alike. Why do we neglect something like the 1918 Pandemic when it killed more than 3 times the number of people killed in the four years of the "Great War"? Part of the answer is provided by the findings of psychology. The Availability Heuristic, for example, is a form of cognitive bias that skews our perception of risk. Risk is often influenced by the ease with which relevant instances come to mind. As there are plenty of images in our minds of war and violence (just watch the evening news any given night) we tend to think that violence is a (perhaps even the) major risk of death for humans. People often believe that violence is increasing (when in fact it is decreasing). Whereas risks like a flu pandemic do not typically concern people. Unlike suicide bombers and carjackers, we can't see viruses and thus, "out of sight, out of mind!". The human brain has evolved to deal with what Richard Dawkins's calls "middle world". We have an intuitive understanding of the dangers associated with violence. We don't need to have a sound grasp of human biology or physics to know that guns and bombs can be dangerous. These things inhabit "middle world", and so we perceive them as real threats (which they are). But unfortunately we cannot so easily perceive the threats of ultramicroscopic infectious agents. They do not appear on episodes of "Cops" or on exciting amateur "You Tube" videos. Because these threats do not inhabit "middle world" this exacerbates the danger they pose to us. For it impairs our willingness to do what needs to be done to help prevent, and be prepared for, these threats. One mystery of the 1918 flu pandemic concerned its ability to cause severe pneumonia in young, healthy adults. 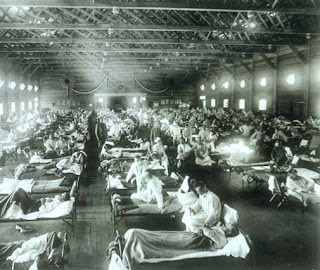 This study in the PNAS has identified a group of genes that helped make the 1918 flu so deadly. The Globe and CBC also have the scoop on this story. Two weeks ago The Star published this excellent article on one of the most important issues facing humanity this century-- boosting our brain power through the development of new pharmaceuticals. 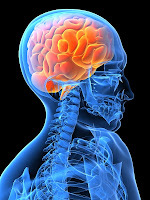 Over the past 20 years, scientists have made great progress diagnosing and treating the brain. In another decade one of its most persistent and irritating problems – the forgetfulness that comes with age – may soon be fixed with little more than a daily pill. But beyond alleviating absent-mindedness, drugs for "age-associated memory impairment," or AAMI, seem poised to alter our standards for cognitive well-being. Because drug treatment won't just be about disorders – it could be about making healthy people better than well. ....So Crook looked at memory loss across the age span. The results were striking. Our ability to remember names, for example, declines 60 per cent between the ages of 25 and 75. That's a lot of embarrassing party situations. ...."This is a condition that is encoded in such a way that it is not a psychiatric disorder," he says. "But it is a developmental condition that merits attention and treatment. "I've debated these issues many, many times over the years, and it's become an easier argument than it used to be. People, typically neurologists, used to say, `But it's normal! But it's normal!' Well, yeah, so is the body ravaging bones for calcium in post-menopausal women! It's a normal thing, but we don't just sit there and let it happen." ...."My position is that cognitive enhancement offers the prospect of a number of potential benefits," Savulescu says, recalling the debate. "What we currently have at the moment is a situation where our cognitive capacities are essentially limited by our evolutionary history. ... Basically, we couldn't have evolved much larger brains and greater cognitive capacities than we have now. Now, with "pharmacological interventions and ultimately with genetic and other more fundamental biological interventions," he says, "we will be able to surpass what nature has given us." This article nicely illustrates why justice theorists ought to pay attention to scientific advances in fields like neuroscience. Rather than just assuming that access to environmental interventions like education and family are important, or that justice only requires us to remedy unjust social structures, the limits our evolutionary history impose on our enjoyment of goods like intelligence and memory are also important to address. And given the interconnection between intelligence and other societal goods (like efficiency), the development of safe and effective cognitive enhancers, much like the development of an "exercise" pill or "anti-aging pill", could prove to be one of the most important technological advances this century. So we must aspire to narrow the gap between science and theories of justice. It has been said that biologists are used to surprises in their research, but rarely has the pace at which startling, even earthshaking, new discoveries are reported equaled that which we have seen in the biological literature over the last twenty years. Many of these new findings upset some of our oldest and most cherished assumptions about the nature of biological processes, causing us to rethink accepted theories of heredity, of development, and even of evolution. At such a time, it can often be useful to cast a wide eye—both backward over the past history of biological thought, and sideways, over the kinds of analyses that philosophers of biology have to offer. There is also another reason for the timeliness of this series, and it is of an altogether different kind: never before has the impact of developments in the biological sciences on our social and economic life been so rapid or so dramatic. Again, a historical perspective may provide us with useful insights, as might the perspective offered by social scientists trained in the study of social and economic change. The aim of the series launched in this issue of PLoS Biology is to encourage productive dialogue between laboratory researchers and historians and philosophers about the many challenges before us. Our hope is that, through such dialogue, we can all broaden our horizons in ways that will facilitate the meeting of these challenges. 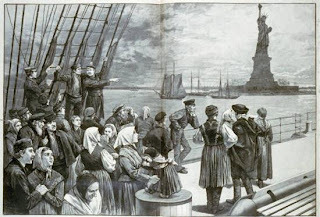 As cultural evolutionists interested in how societies change over the long term, we have thought a lot about migration, but only recently tumbled to an obvious idea: migration has a profound effect on how societies evolve culturally because it is selective. People move to societies that provide a more attractive way of life and, all other things being equal, this process spreads ideas and institutions that promote economic efficiency, social order and equality. Culture is the set of socially acquired ideas, beliefs and values carried by a population of individuals. Various processes change the distribution of cultural variants through time. Some processes act at the individual level as people selectively learn ideas, and those ideas affect an individual's chance of teaching others or of being imitated by them, causing some cultural variants to spread and others to disappear. Theory and much empirical data indicate that individual-level processes can stabilize a vast array of beliefs and institutions. ....This way of thinking changes our view of the consequences of conflicts between societies. Focusing on military competition alone predicts that societies may be nice to insiders and rough on outsiders. Powerful societies may exploit their conquered and resist their assimilation. But taking the effects of assimilation into account suggests that conquering empires will be ephemeral unless they induce immigration and integration. "3 Wishes" is now available here. A few more thoughts on the post from yesterday. The relation between empirical insights into human cognition and theories of distributive justice brings into sharper focus the concern about the methodology of normative theory. A sound theory of justice ought to invoke a diverse range of empirical and comparative insights, as well as conceptual tools. This idea that the theorist ought to develop a “diverse” skill-set is captured by Dunn’s account of political theory. The workings of the human brain (which are plagued by cognitive biases and the other legacies of our evolutionary history) should thus make theorists hesitate to rely too heavily on abstraction and idealization when developing a theory of justice. And yet most egalitarian theories do precisely this. They invoke hypothetical scenarios (e.g. two person worlds, ship-wrecked survivors on a desert island, etc.) or idealized assumptions (e.g. everyone is healthy, everyone shares the same culture, etc.) that they believe will help bring precision to an underlying foundational principle- or what Cohen calls “fundamental principles of justice” (which only reflect justice itself, not facts). But the notion that there exists a realm of “fact-free” principles is, I believe, an illusion. For our intuitions themselves have been shaped by our evolutionary history (which include many facts about the external world). And so appeals to these “fundamental principles” is really an appeal to the “sensibilities (and biases) that are the legacy of our Darwinian history”. And so one can construct different hypothetical scenarios that help ignite different aspects of the moral compass we have inherited. Imagine a two-person world consisting of Bob and Mary. There is only one plot of fertile land in this world. Bob is lazy. He sits back and lets Mary do all the work- tilling the soil, planting seeds, harvesting the vegetables, etc. At the end of the harvest season Bob says “OK, let’s split everything down the middle- half for me and half for you”. Mary laughs and says “Sorry buddy, there is no such thing as a free lunch!” And she takes all the proceeds of her labour. When such a thought experiment is constructed it does not create a “fact-free” zone for the deliberation and comprehension of fundamental principles, rather it plays into our sensibilities as “wary cooperators”. If we modify the example, so that Bob and Mary *equally contribute* labour, then one can spin the principle differently. When we feel Bob and Mary equally contribute, we feel they should equally share the benefits. This too is part of the sensibilities of wary co-operators. Luck egalitarians maintain that: Inequalities in the advantages that people enjoy are just if they derive from the choices people have voluntarily made; however, inequalities deriving from unchosen features of people's circumstances are unjust. This general statement of the principle probably does cohere (at some level) to the moral compass that evolved out of our early existence in hunter-gatherer societies. But it is not “fact-free”. Those people who do share the belief that chosen inequalities are not unjust don’t occupy some privileged position in the Platonic realm of Forms. Rather, their brain has been hardwired in a way that is sensitive to these concerns, and this is the result of a long process of species adaptation over millennia. It’s also interesting to note, taking things in the other direction, that the reason many people don’t seem bothered much by the health inequalities between the young and aged is that these concerns do not easily fit the moral compass selected for by our evolutionary history. Indeed, I've also observed that some people seem to believe that the aged almost deserve death because their continued existence is harmful for the environment (I guess that’s some distorted expression of altruistic punishment—“do your part for reciprocity and die already!”). Indeed, ageism (along with other "isms") probably coheres with this inherited moral compass. Wary cooperators might be inclined to show less concern for those who they perceive to be failing (because of health concerns) to satisfy the reciprocity principle. And that might explain the dismissive attitudes many have to the aspiration to tackle aging. Update: This interesting paper addresses the evolution of egalitarian instincts and some of the concerns I address above. I am working on a more detailed continuation to my previous post on science and justice, but here I want to highlight the importance of the findings of evolutionary biology for egalitarians. You may recall this earlier post, where I noted a recent study which suggested that inequality aversion and parochialism (a preference for favouring the members of one's own social group) have the same developmental roots. Findings like this reveal the danger of political philosophers simply trading in "moral intuitions" rather than developing normative theories informed by empirical findings. Why? Well, suppose it turns out that egalitarian preferences (along with the preference to favour the members of one’s own social group) really are the outcome of adaptations our species have made over millennia, and in conditions very different from those we find ourselves in today. If this were the case (I'm not saying it is, only that we should want to find out the answer to this question) then it would have a profound influence on a normative theory that is based, at bottom, on the appeal to these sentiments. For the sentiments it appeals to might be the wrong ones. That is, ones that will not actually help us do (the most) good in the real world today. So if we ignore such empirical findings we run the risk of committing a form of "status-quo" intuition bias. In this case, the bias is in favour of a normative ideal that our brain has evolved to favour when the concerns facing our species were very different. Egalitarianism might be a form of cognitive bias (a bias which may or may not do more harm than good... that is an empirical question egalitarians should also want to answer). If it turned out that this was in fact true, then advancing a theory of justice that is premised on egalitarian preferences would in many ways be analogous to an account of morality premised on religious belief. For many conjecture that the belief in a supernatural deity is also adaptive. Given that philosophers typically see themselves as engaging in a critical examination that has more depth and value than that typical of preaching from the pulpit, then they ought to care about how the human brain is actually hardwired. Researchers have identified six new gene mutations linked to obesity that point to ways the brain and nervous system control eating and metabolism. ...."One of the most notable aspects of these discoveries is that most of these new risk factors are near genes that regulate processes in the brain,” added Dr. Stefansson, whose company hopes to sell genetic tests based on such discoveries. “This suggests that as we work to develop better means of combatting obesity, including using these discoveries as the first step in developing new drugs, we need to focus on the regulation of appetite at least as much as on the metabolic factors of how the body uses and stores energy,” Dr. Stefansson said. “These new variants may point to valuable new drug targets." Malaria Vaccine on the Horizon? The most advanced candidate vaccine for malaria has cleared another major hurdle and is now ready for its last and biggest test: a phase III trial of 12,000 to 16,000 children at 11 locations in seven African countries. Two new studies published this week by The New England Journal of Medicine--and presented, to considerable excitement, at a meeting* here on Monday--confirm that the vaccine works and is safe, and, perhaps most important, they show it can be given along with a series of other vaccines that many babies in the developing world receive shortly after birth. The vaccine, called RTS,S, is far from perfect: It appears to prevent roughly half of all clinical episodes of malaria at best. But researchers believe that's good enough to help make a major dent in the disease, especially when applied in tandem with other tools, such as long-lasting insecticide-impregnated bed nets and a new generation of drugs called ACTs. And they're encouraged by the fact that trial outcomes so far have been consistent. After a "long history of sob stories" in malaria vaccine development, "this seems like a solid vaccine, study after study," says Christopher Plowe of the University of Maryland School of Medicine's Center for Vaccine Development in Baltimore. This is a timely report given the tenor of my post yesterday about the importance of science. Moral and political philosophers are concerned with how we ought to act, as both individuals and collectivity as societies. So we ask questions like: What makes an action right or wrong? What constitutes the “good life”? How should society distribute the benefits and burdens of social cooperation (like wealth, and rights and freedoms)? As philosophers, it is not surprising that we turn to the history of philosophy to help us grapple with these timeless normative questions. So we turn to intellectual giants like Aristotle, Kant, Mill and Marx for guidance on how we can sensibly deliberate about the demands of morality and justice. More recently, moral and political philosophers have engaged (and still do) in many a spirited debate relating to John Rawls’s theory “justice as fairness”, and topical applied topics like multiculturalism, animal rights, deliberative democracy and cosmopolitanism. These are all interesting issues, topics I myself have published on and currently teach. But something vital is missing…. History is important, it can teach us a lot about ourselves and the world we have inherited. And so if we aspire to achieve wisdom (philosophy means “love of wisdom”) then we must appreciate the things we can learn from the past. But this must be tempered by a sense of proportionality. The collective wisdom of the disparate thinkers who lived centuries, even millennia, ago ought to be weighed against the “wisdom of the present”. Just to be clear, I am not suggesting that the *philosophers* of today have more wisdom than those of the past (far from it!). Rather, I mean that the general knowledge we have about our biology, knowledge that has only come to the fore in the past few years, adds incredible insights to the field of normative theorizing. Rather than just flipping through the pages of Rousseau or Plato, we need to also stay abreast of the findings of evolutionary biology, medical genetics, neuroscience and behavioural genetics (just to list some examples). For these empirical insights may prove to be much more valuable than the insights garnished from dead philosophers. I know that is hard for philosophers to believe (and swallow! ), and I myself have opined that more attention should be given to the brilliance of Bentham, and the sharp insights of Marx. But the history of Western moral and political thought is one that has, for the most part, evolved from religion or speculations into human nature. We now live in the rare and exciting times were this “veil of ignorance” is being lifted! We are beginning to see and understand how our brain works, why we age and the role genes play in things like intelligence and political behavior. Imagine if Aristotle, Hobbes or Locke were alive today. Do you think they would be flipping through the pages of philosophy journals pondering the abstract ideals of equality, or do you think they would be reading science journals and pondering the really big questions concerning the future of humanity? I reckon it would be the latter. They would be envious of the opportunities that we now have, and they would be puzzled by the snobbery and insularity of scholars who view such interdisciplinary interests and aspirations as “Philosophy-Lite”. Perhaps you think I am being too hard on my fellow moral and political philosophers. They have an interest in science, you may say, it’s just that science does not really address fundamental issues in “political” philosophy. Hogwash! Political philosophy is concerned with the functions of government, and science policy is one of the most important activities of modern day governments. To illustrate the dire neglect of science in moral and political philosophy consider this question--- which major scientific breakthrough has had the greatest impact on the field of contemporary political philosophy- in particular, on debates concerning distributive justice? One is hard pressed to think of any. And yet, over the past two hundred years, the life expectancy of humans born on this planet has more than doubled. What caused this unprecedented and dramatic rise in life expectancy? Many things, by major contributors include medical knowledge and advances in technology. If political philosophers spent nearly half as much time pondering the importance of technological progress as they have on Rawls’s extension of his domestic theory of justice to the global arena, the discipline would be transformed in incredible and fruitful ways. But alas, I am not holding my breath that this will happen any time soon. Just to be clear, I am not picking on Rawls, he was a great political philosopher. I am picking on us (and I include myself here, I am also guilty of this neglect!) Here is another example to illustrate my point. Rawls’s invocation of the veil if ignorance inspired a prolonged debate between “liberals and communitarians” that dominated much of political theory for the 1980’s and 1990’s. Is the self “embedded” or “unencumbered”? But what has been the real significance of this debate? Have we received a payoff proportionate to what we invested in it? No. Rather than worry about whether or not John Rawls invokes a plausible conception of the person, shouldn’t we be much more interested in what sciences tells us about humans as a species? Advances in evolutionary biology, neuroscience and genetics are yielding new major insights into the kinds of creatures we actually are. Will we spend decades debating the consequences of these empirical findings for normative theory? I hope so, but that will only happen if we can narrow the gap between science and normative theory. So my central point so far is this- if philosophers really “love wisdom”, then we ought to recognize the unprecedented bounty of knowledge that science now provides us with. Rather than viewing moral and political philosophy as a dialogue that occurred among the greats of the past, we should strive to connect the new empirical insights to these debates. While we may not have intellectual giants like Aristotle, Mill or Marx living among us today, what we do have is a wealth of empirical knowledge that ought to be an integral part of moral and political philosophy. No doubt some of you will still ask- “But why?” So let me come at this again from a different angle. Moral and political philosophers should aspire to narrow the gap between science and normative theory because: (1) no other topic comes even close in terms of the important impact science has had on the wellbeing of humans; (2) these important issues have not received their fair share of attention from moral and political philosophers; and (3) if you want to teach something that will really get students excited about the relevance of moral and political philosophy to the real world, then explore the link between science and moral (be it moral psychology or applied ethics) and political philosophy (e.g. distributive justice). Humankind's way of life has depended on technology since the beginning of civilization. 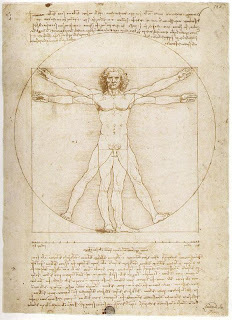 It can indeed be argued that civilization began when humans first used technologies, moving beyond the merely instinctual and into an era when people began to impose themselves on their environment, going beyond mere existence, to a way of life which enabled them to take increasing advantage of their intellect. ....My contention is that technology is sidelined and undervalued - we become defensive about it and would rather retreat into the past, or into fundamental science, than to strive to stay in the race. The cost of this major social failure will progressively disadvantage all of us. Technology is determining the future of the human race. We need it to satisfy our appetite for energy, perhaps through nuclear power; to help us address hunger through plant breeding throughout the world; to monitor and find the means for avoiding global warming so that we can rescue our planet for future generations. Technology can improve our health, and lengthen our lives. I want this lecture series to act as a wake up call to all of us. Technology, I repeat, will determine the future of the human race. We should recognise this and give it the profile and status that it deserves. ....I have found that the possession of an understanding of technology, just as with an understanding of music, literature, or the arts, brings with it great personal satisfaction and pleasure. I still pause to wonder at the achievements of humankind, for example, when I am flying in comfort at 40,000 feet and look down on the white caps and spume of a turbulent sea so far distant below me, and realize the difficulties there were in crossing it only a couple of lifetimes ago. I know that I can safely drink the water that runs out of the tap in the majority of places I visit in the world, and can talk with my family or even hold in my hand a real-time picture of them wherever I am. How remarkable it is to gaze up at the moon and the planets and realise that we have already walked on that great sphere and have sent intelligent machines to those planets, even to their satellites, and received high-quality pictures and data from those remote surfaces. My appreciation is all the greater because I know enough to realise how difficult it has been to accomplish these things, enough in fact to know how little - after a lifetime in science and technology - I actually know myself. I sometimes play the game of wondering how much I would be able to recreate if by some cataclysmic disaster I were to be the only person left with knowledge of how these wonders were accomplished. I am afraid that it would only be a small and specialized fraction of electronics. At one stage of the lecture reference is made to this survey which took place in the UK a few years back. When asked what the most significant innovation of the past two centuries was, the general public chose... are you ready for this?... not the sanitation revolution, not antibiotics or the computer or the automobile, but... the bike. Furthermore, GM food -which could help alleviate global poverty- was chosen as the top innovation they wish we would “disinvent”. If this is not proof of the need for philosophers to jump on board and join the intellectual battle against dogma and ignorance then I don’t know what is. The stakes in these debates are so high, and the champions of reason and reality so few, there is perhaps no other cause more in need of sympathetic allies that the battle for science. I don’t want my children to inherit a culture that celebrates riding bikes over having access to clean drinking water, antibiotics or genetically modified crops. Won’t you please consider joining the fight for science (and justice)? By the time it reaches the age of 18 days, the average roundworm is old, flabby, sluggish and wrinkled. By 20 days, the creature will likely be dead—unless, that is, it's one of Cynthia Kenyon's worms. Kenyon, director of the Hillblom Center for the Biology of Aging at the University of California, San Francisco, has tinkered with two genes that turn simple worms into mini-Methuselahs, with life spans of up to 144 days. "You can beat them up in ways that would kill a normal worm—exposing them to high heat, radiation and infectious microbes—and still they don't die," she says. "Instead, they're moving and looking like young worms. It's like a miracle—except it's science." Since the days of Ponce de León, if not before, people have been seeking the elusive Fountain of Youth. Until recently, such pursuits were the realm of quacks and charlatans. And there are still plenty of snake-oil salesmen out there on the Internet and in so-called anti-aging clinics, hawking everything from longevity-bestowing Ecuadoran waters (which are probably harmless) to growth hormones (which could be downright dangerous for adults). But serious scientists are now bringing respectability to the field, unraveling the secrets of aging on a cellular level and looking for ways to slow it down. And while the science is still young (so to speak), legitimate longevity-boosting treatments could be available in 10 to 15 years—although the gains would be more modest than in Kenyon's worms. ....But to make it to 100, like the 1,500 participants in Perls's study—or 110, like his "supercententarians"—it takes more than virtuous behavior and avoiding a collision with a Mack truck. A person needs genes that slow aging and boost defenses against age-related diseases. About half a dozen such genes have been identified out of perhaps 100 or so that might exist. The exceptional people with these genes seem to spend very little time sick—even when they defy all the rules. "We had one man who smoked three packs of cigarettes a day," says Perls. "He gave up smoking at 90, but he still drank three martinis a day—and he was out repairing his roof the day before I visited him. He died at 103." Some of these beneficial genes appear to be involved in metabolic pathways related to growth, as well as the processing of fat and cholesterol. Kenyon manipulates a gene in her worms that reduces the action of insulin and a related hormone called IGF-1. "Lowering these hormones activates a gene called Foxo," she says, "which stimulates a whole host of responses that protect cells—boosting the immune system, increasing antioxidants, keeping proteins folded correctly." A study of Ashkenazi Jewish centenarians this year also found variations in genes governing IGF-1. A second study found protective changes in the Foxo genes of healthy 95-year-old men. Very informative, balanced and insightful article. The latest issue of Journal of Gerontology: Medical Sciences is a special issue devoted to the secrets of healthy aging and longevity. This issue is further evidence of the aspiration to transcend the "disease-model" that currently shapes (and limits) medical research. We have all heard stories of cigar-chomping hundred-year-olds who drink copious amounts of vodka (or other spirits) and can climb hills or swim laps faster than most fifty-year-olds. Such hardy, long-lived individuals have been a fascination of society since recorded history (1). Unfortunately, finding individuals who fit this robust description—and who possess valid birth certificates—has proven elusive. However, in the past few years, the credible study of exceptional human longevity has blossomed. In particular, more comprehensive study of long-lived individuals who are free of major clinical diseases and disability, and who might be called "exceptional survivors," is beginning (2). Some researchers believe that by studying "healthy aging" rather than focusing on specific diseases, we might find protective genetic or environmental secrets that will benefit both length and quality of life (3–5). Discovering factors that enhance odds of healthy aging and translating these findings into evidence-based interventions is becoming a research priority. ....Of great interest to gerontologists is that a subset of the exceptionally aged does seem to delay or avoid major clinical diseases and disability into their 90s or 100s (32–34). The limited autopsy data that exist on such exceptional survivors have added credibility to these remarkable clinical observations. For example, in an autopsy study of a "typical" centenarian woman in Okinawa, Bernstein and colleagues (35) found an absence of coronary artery disease, cancer, stroke, and little evidence for major damage in several organ systems. However, clear signs of "wear and tear" and past exposures had occurred including compression fractures of the spine, silicosis and scarring of the lungs, and amyloidosis in several organ systems. Larger case series of autopsies in other centenarian populations exist with a pathology burden in some individuals that is less than one might expect for 100 years of life (36,37). In an ideal world, one would like to study aging over the life span in such individuals to more precisely assess risk and protective factors, and rates of change in health, organ function, and physical/cognitive abilities. This, however, would be a very, very long study. Therefore, most studies of exceptional survivors have traditionally had retrospective or "case-control" designs. It has been exceedingly difficult to recruit large numbers of long-lived "cases" and find age-matched, deceased "controls." ....The articles presented in this special section of the Journal represent a new and exciting direction in gerontology—a focus on health rather than disease. While some progress has been made in understanding healthy aging, much remains to be done. Phenotypes that reflect healthy aging, which are about as "complex" as they come, need further refinement in order to better understand their genetic basis. This must be accomplished before we can begin to understand the complex array of factors affecting healthy aging and longevity. Such work would be enhanced by standardization of performance-based measures of aging-related traits across populations (14), the development of consortia and/or large multiethnic cohorts for reproduction, and validation of findings and novel approaches for investigating healthy aging across the life span (41,61–63). When such criteria are met, and truly "translational" work on healthy aging is fostered, it may not be long before today's version of the "exceptional survivor" will be tomorrow's "typical" senior citizen. If this happens, the cigar-chomping, mountain-climbing supercentenarians of Shangri-La fame may not prove so elusive after all. The family we are born into has a profound influence on our life prospects. Indeed, from the earliest stages of fetal development, the diet and behaviour (e.g. smoking, consumption of drugs and alcohol, etc) of a prospective mother can significantly influence the physical and mental development of a child. This study, for example, suggests that permanent vascular damage attributable to tobacco smoke exposure might be initiated in gestation. According to the American Academy of Child & Adolescent Psychiatry, prenatal exposure to alcohol is the most common cause of birth defects. Fetal Alcohol Syndrome can cause facial deformities, slow development and neurological problems. Social inequalities have profound effects on the physical and mental health of children. Children from low socioeconomic (SES) backgrounds perform below children from higher SES backgrounds on tests of intelligence and academic achievement, and recent findings indicate that low SES (LSES) children are impaired on behavioral measures of prefrontal function. However, the influence of socioeconomic disparity on direct measures of neural activity is unknown. Here, we provide electrophysiological evidence indicating that prefrontal function is altered in LSES children. We found that prefrontal-dependent electrophysiological measures of attention were reduced in LSES compared to high SES (HSES) children in a pattern similar to that observed in patients with lateral prefrontal cortex (PFC) damage. These findings provide neurophysiological evidence that social inequalities are associated with alterations in PFC function in LSES children. There are a number of factors associated with LSES rearing conditions that may have contributed to these results such as greater levels of stress and lack of access to cognitively stimulating materials and experiences. Targeting specific prefrontal processes affected by socioeconomic disparity could be helpful in developing intervention programs for LSES children. Of particular interest are the kinds of environmental interventions that influence the brain development of children. The study notes the following: that environmental complexity can augment brain development; children from poor families have less to exposure to cognitively stimulating materials and experience greater levels of stress. These insights have important implications for two ongoing areas of interest to me. Firstly, debates about parental virtue and genetic intervention (see these entries). This study clearly shows how rich and poor parents influence the brain development of their children by their exposure (or lack of exposure) to different environments. So parents influence, for good or bad, the biology of their children. Keeping this fact in mind can help us make sense of the ethics of seeking to cultivate phenotypes via direct biological interventions (e.g. genetic or pharmaceutical intervention). In the case of environmental interventions, the goal is not to reduce inequality by preventing rich parents from exposing their children to the environments that promote brain development. Rather the goal is to try to bring disadvantaged children up to this higher level of development. So the concern at stake here is really prioritarian rather than egalitarian. And those concerned about the impact of poverty on children ought to be interested in the potential benefits that the biomedical sciences (especially research on the brain) could yield. To those who balk at such a suggestion and think tackling poverty itself is much easier, well, this study shows how complex and difficult the challenges really are. In the ideal world every child would be born into an environment where they are exposed to the kinds of stimulations that augment their brains in the ways most conducive to flourishing. But if a pharmaceutical intervention could be prescribed that would mimic the brain development of being exposed to these environmental complexities, would it really be better to forfeit them in the name of achieving brain development via "traditional (yet unequally accessible) means"? It is easy to wave our arms around and say "drugs won't be equally accessible to all" but the same is true of complex environments. Indeed, it is impossible to ensure all receive exposure to the same environments. But a pharmaceutical intervention could help us satisfy a principle of sufficiency for brain development in children. And that would be an incredible accomplishment (and may arrive sooner than you think). Secondly, this kind of study helps bring precision to what it is about socio-economic inequality that is objectionable. The problem is not that that some people have more money than others; rather, it is that the brains of some children are not exposed to the kinds of complex environments that cause the brain development we believe all children should achieve. How can we best remedy this situation? Rather than just looking to redistributing wealth, we are more likely to see that a wide array of measures are necessary. These range from trying to reduce teenage pregnancy and the demands placed on working parents, to supporting better public education and scientific research on the brain. Humane societies that seek to treat future generations with the care and respect they deserve ought to foster a culture supportive of the family, science and parental virtue. Genomic instability and alterations in gene expression are hallmarks of eukaryotic aging. The yeast histone deacetylase Sir2 silences transcription and stabilizes repetitive DNA, but during aging or in response to a DNA break, the Sir complex relocalizes to sites of genomic instability, resulting in the desilencing of genes that cause sterility, a characteristic of yeast aging. Using embryonic stem cells, we show that mammalian Sir2, SIRT1, represses repetitive DNA and a functionally diverse set of genes across the mouse genome. In response to DNA damage, SIRT1 dissociates from these loci and relocalizes to DNA breaks to promote repair, resulting in transcriptional changes that parallel those in the aging mouse brain. Increased SIRT1 expression promotes survival in a mouse model of genomic instability and suppresses age-dependent transcriptional changes. Thus, DNA damage-induced redistribution of SIRT1 and other chromatin-modifying proteins may be a conserved mechanism of aging in eukaryotes. Aging may be a case of neglect -- an absentee landlord at the cellular level that allows gene activity to go awry, according to a study published today. Scientists have long known that aging causes gene expression to change, and DNA damage to accumulate. But now, research led by Harvard Medical School scientists explains the connection between the two processes in mammals. The paper, published in the journal Cell, found that a multi-tasking protein called SIRT1 that normally acts as guardian of the genome gets dragged away to DNA fix-it jobs. When the protein abandons its normal post to work as a genetic handyman, order unravels elsewhere in the cell. Genes that are normally under its careful watch begin to flip on.